I've been wanting this collection since it was announced on Xbox One and PS4, and back then I thought it was a shame that it wasn't meant for the Switch as well. Some considered Sega Ages was what Sega gave us instead of this collection, but in the end it's going to appear on Switch too, so... what now? I didn't buy it on Xbox One because I didn't need it and I wasn't in a hurry with all my backlog, but now I have to decide what version to pick up. I don't know if anybody else can't decide on one of the versions over the others, like me, but I'll make a list of PROS and CONS of the Switch version. I'm really excited for the Switch version. I have held off on the Xbox version, as I still have my Genesis and a ton of carts (plus a Framemeister and all that). But to have it portable will be amazing. Getting through all the beat'em ups was tough when people have to come over to my place but to be able to play co-op literally anywhere just seems like how these games were destined to be played. The Wonder Boy games are not included in the Switch version (another con). 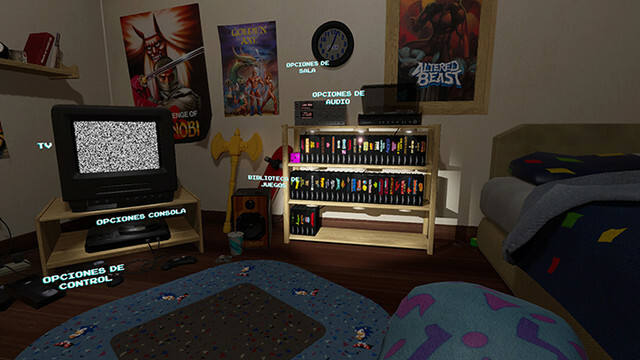 It's embarrassing that the last-generation compilation, Sega Mega Drive Ultimate Collection, has more games and better emulation than the new one, but it is not backwards compatible on Xbox One, unfortunately. Almost all other Sonic games are, but not this. @BlueOcean Wait, there are differences between Xbox One/PS4 version and Switch regarding to line-up? What games have been added to Switch instead? I was upset when this collection was released on PS4 and Xbone earlier this year but not on the Switch. In hindsight, I hope the extra time has allowed D3T Limited to iron out some of the sound issues that were present in the PS4/Xbone version. But that might be an emulator issue and won't be fixed. If so, that's alright. As a kid who grew up with the Genesis and its games it'll be nice to have these games in portable form. It's the Sega Nomad all over again, only with better battery life. I haven't find any information confirming if the Wonder Boy games are missing. It seems a wrongly incomplete list that everybody has been using as a reference, but also they say it's 53 games, and without the Wonder Boy games it would be 51. I hope it's just a mistake, because there is no reason to make the Switch version 2 games shorter. And Wonder Boy III: Monster Lair isn't included in Sega Vintage Collection Monster World nor in the 360/PS3 Mega Drive Ultimate Collection from 2009. In other words, it's in this collection or buying the original cartridge. While I'm still disappointed this is yet another Genesis collection that's missing classics like Contra Hard Corps, Castlevania Bloodlines, and Sonic 3, I'm excited for the collection overall. Toejam and Earl and the Phantasy Star games are particularly exciting additions for portable play. Between Sega Ages, this collection, and games like Valkyria Chronicles 4 and Sonic Mania, Nintendo Switch is quickly becoming a true successor to the legacy of the Sega Nomad. @BlueOcean My PC definitely has access to the most past SEGA content, but I really appreciate having these classics on a portable system. Although I doubt I'll play much of the games that were already 3D Classics on the 3DS. It's hard to imagine playing Streets of Rage 2 without the stereoscopic 3D effect now. @BlueOcean I saw it, but as someone pointed out it could be a mistake. There is no reason for leaving those two games out. I had a Mega Drive as a kid but could only afford a couple of games for it, so having 50+ is awesome. Never played Streets Of Rage or Gunstar Heroes so I’m excited to finally try them. I bought this collection for my OneX and it's fantastic. Really good and richly-featured emulator with excellent online play. I really wanted it for Switch though, so I'm gonna double dip when it comes out. Can't pass on the opportunity to have Streets of Rage 2 on my Switch. I've been struggling with the decision to buy it on Switch or Xbox One, as you can see in my first post. The collection itself appeals to me because I had a Mega Drive with several games, but many of the list I didn't. The problem is I love achievements. That you can share and compare with friends, I mean. But I've recently bought the Mega Drive Classics Collection for Xbox 360, and although there are about 10 games that are different, it could feel like overlapping, so my solution is getting the new one on the Switch, in order to have a collection for home and another one on-the-go. Plus, the price is exactly the same, kudos to Sega again for this decision not all developers/distributors make. The only thing that worries me now is I need a confirmation that both Wonder Boys that are in other platform's Sega Mega Drive Classics are in this version too. They should and the announced list seems a mistake (the last two games alphabetically? Come on! ), but I need it anyway. @Moroboshi876 If it's any help, the Wonderboy games are omitted on Sega's own website. For all systems. I’m really excited for this collection. 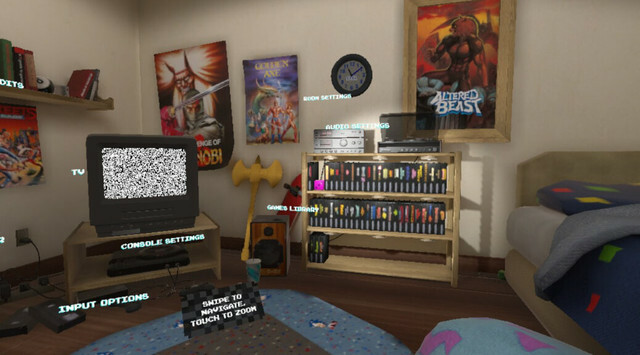 Own the past SEGA Collections for PSP (digital on Vita) and for PS3. Just hope the online works well as I’d love to play STREETS OF RAGE and GOLDEN AXE in online co-op. Our worst fears are sort of confirmed: a review has already been published (Nintendo Soup) and they don't mention the lack of both Wonder Boy games, which could just be a problem of background information by the reviewer, but there is a screenshot where you can see the boxes of the games and there are actually 51 of them. So "more than 50" is still true, but it's also true that both Wonder Boy games are missing. So, I guess I'm going to buy Xbox One version, because it's the only way I'm going to get Wonder Boy III: Monster Lair (the other one I have on an actual cartridge), and because of the achievements, what the hell. But not any time soon, as I just bought Mega Drive Ultimate Collection on Xbox 360 and two so similar collections for not handheld systems mean overlapping. Maybe on time I'll be able to get it for small change anyway. This is what I told you one month ago and you basically said that I was making it up. @BlueOcean I didn't. I never do that, with anybody. Whenever someone said Sega itself listed just 51 games (and I saw this and still see it) I just answered (and I'm not the only one) that it looked like a mistake. And it did. Just that. Now a picture taken from the game hub seems to confirm it, and I think everyone here wanted me to be right in saying the list must be wrong. I noticed on the steam description of this collection that the PC version has "ROMs from other regions for games with significant differences". I'm hoping this is the case as well for the Switch version, since I would like to play the other versions, most notably Streets of Rage 3 and Dynamite Headdy. Do the Xbox and PS versions have these ROMs from other regions? I do hate the omission of the Wonderboy games. Wonder Boy in Monster World is one of my favorite games for the Genesis. I never played Wonderboy 3: Monster Lair, mainly because I was looking more for a game like Monster World/Monster Land/Dragon's Trap. I would like to see Sega release a Sega Master System/Game Gear collection, as there's quite a few games on those systems that are still fun to play today, plus I'd love to try their versions of Streets of Rage and other ports of Genesis titles.